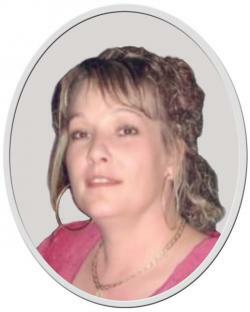 Monday, March 18th, 2019 at the Campbellton Regional Hospital, at the age of 46, passed away Anne Renée Pitre of Val d’Amour, wife of Yvon Pitre. She was the daughter of Mrs. Aldéa (born Maltais) and Mr. Clifford Ouellette. Besides her husband Yvon, she will be sadly missed by her children: Pierre-Luc (Keshia Savoie) of Val d’amour, Vanessa (Charles Savoie) of Val d’amour and Craig (Annick Bouchard) of St-Arthur; her grandchildren: Alexis-Alain and baby to come; her parents: Mrs. Aldéa and Mr. Clifford; her sisters: Sylvie (François Fortin) of Shippagan and Stéphanie (Shawn Loisel) of Campbellton also by many members of the Pitre family, nieces, nephews and friends. Funeral mass will be held on Friday, March 22th at 2 pm in the Notre-Dame-du-Sacré-Cœur Church, Val d’Amour. Respecting Anne Renée wishes, there will be no visitation at the funeral home. A donation to the donor’s choice would be greatly appreciated by the family.